Ottis Delroy Gibson (born 16 March 1969) is a cricket coach and former player from Barbados. 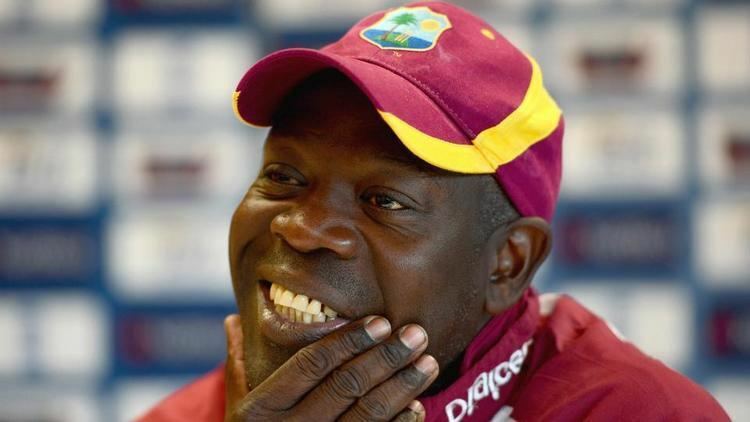 A pace bowler and exploiter of the older cricket ball for the West Indies, Gibson is now head coach for the West Indies. He previously worked as bowling coach for England. Gibson made two Test appearances for the West Indies. In his first outing against England in 1995, he picked up the wickets of Alec Stewart and Darren Gough in the first innings, finishing with figures of 2-81, but was less successful in the second with 0-51. With the bat he made 29 and 14, as the West Indies slumped to a 72 run defeat. Gibson was seen primarily as a one-day specialist - "his hard-hitting late middle-order batting was particularly effective in the closing overs of the innings." He played in 15 One Day Internationals, top scoring with 52 against Australia and taking best figures of 5-42 against Sri Lanka. He took another 5 wicket haul against the same opposition and two four-fors, finishing with an impressive bowling average of 18.26. Gibsons county cricket career saw him play for Glamorgan before taking up coaching with the ECB after a series of niggling injuries. However, he returned to playing with Leicestershire in 2004. In 2006, he moved to Durham. As well as playing for three South African provincial sides, Gibson has also made appearances for Staffordshire. Gibson signed a two year contract with Durham in 2006. In his first season, he picked up 48 wickets and recorded a highest first-class score of 155, to keep his side in the division.